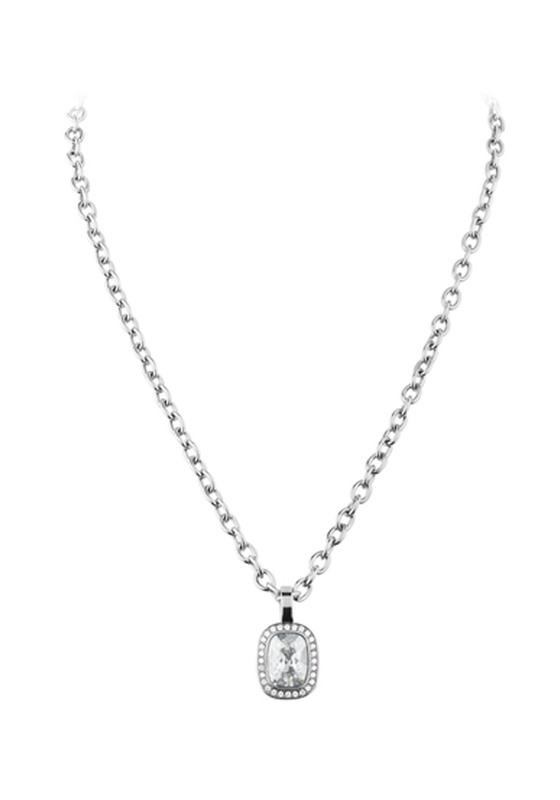 An elegant mid weight silver plated chain, and on it, hangs a glistening pendant that can’t help but catch the light. 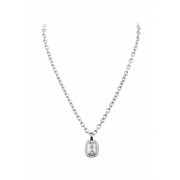 With a large, fancy cut, centre crystal, surrounded with a halo of smaller shimmering crystals. Stunning from all angles.